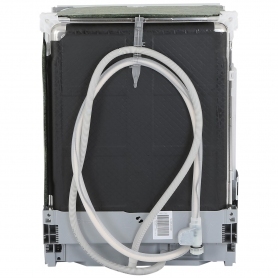 The NEFF S51M53X3GB is an efficient and reliable dishwasher that will take care of all the washing up in double quick time, leaving you free for the more important things in life. 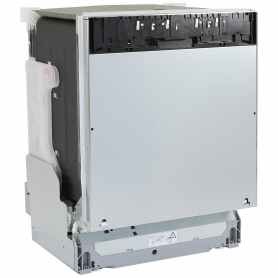 As an integrated dishwasher, this model will slot right into your built-in kitchen, giving it a more streamlined and compact look. The control panel is on the top of the door, allowing you to hide the front panel behind a cupboard door. 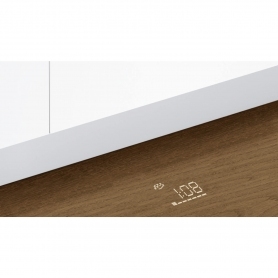 A slick, stainless steel control panel and interior gives a smart, modern look. The NEFF S51M53X3GB boasts a 13 place setting capacity. With a place setting consisting of around 10 items, this machine can hold up to 130 items of cutlery and crockery. 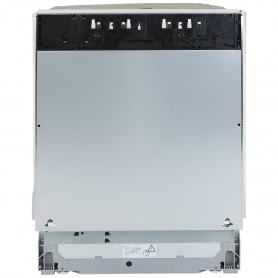 If you have a large family, enjoy dinner parties, or just accumulate a lot of dishes, the NEFF S51M53X3GB is the perfect dishwasher for you. After a stressful meal, the last thing you want to be doing is slaving away over the dishes. 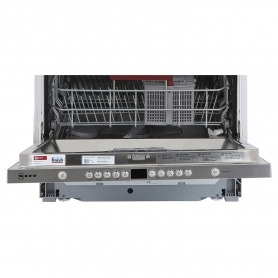 This model takes away that fuss – just load it up and relax, knowing your dishes will be sparkling clean. 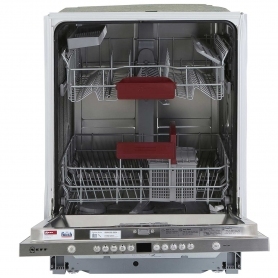 Dishwashers with a larger capacity also have greater water and energy efficiency due to fewer washes with larger loads. 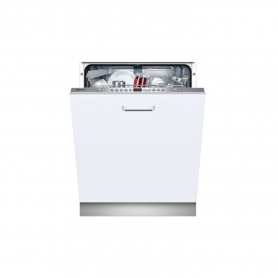 The NEFF S51M53X3GB has an A+ energy rating, making it very economical, and has received high wash and dry ratings of A. This dishwasher has five programmes to use, depending on how dirty your dishes are. Intensive 70 °C is perfect for those really tough stains, whereas Auto 45-65 °C or Economy 50 °C will deal with a standard wash with ease. 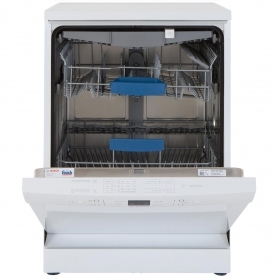 If you’re in a rush, the Quick Wash will have your dishes done in no time. All the programmes produce great cleaning results with minimum effort. An easy to read LED display shows how far along the wash is and the control panel is simple to use. 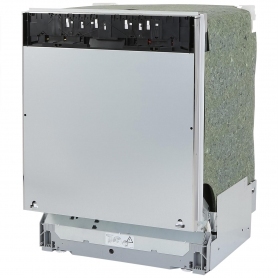 Other features include AquaStop, an anti-flood device, and VarioSpeed, which allows you to reduce the time of a standard programme without compromising on wash performance. Order today – you’ll wonder how you ever managed without one. Please note, image shown is for illustration purposes only.